Last weekend to shop (and get sweet deals) for Valentine’s Day. 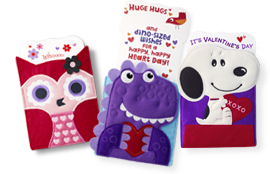 Surprise them with heartfelt messages tucked inside the cutest critters. 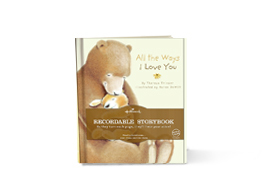 See our biggest selection at Hallmark Gold Crown. 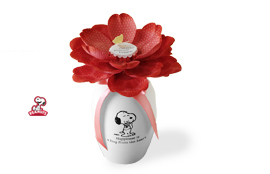 Make someone’s day with a flower that plays a tune and blooms again and again at the press of a button. They’ll hear your voice with every hug. 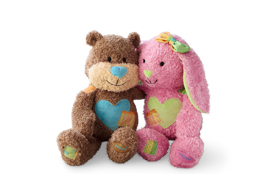 Record and save a personal message that plays whenever your little one gives this cuddly bear or bunny a hug. Share your love, near or far. Just add your voice to the story, and you can read to them even when you’re apart. 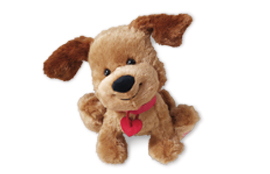 Get ready to fall in love with this ear-flapping, sweet-talking pup. Smitten with our new storytime kitten. Join our newest Interactive Story Buddy™, Posey™, for a fun princess adventure.